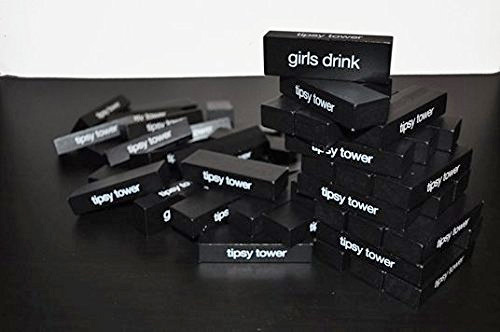 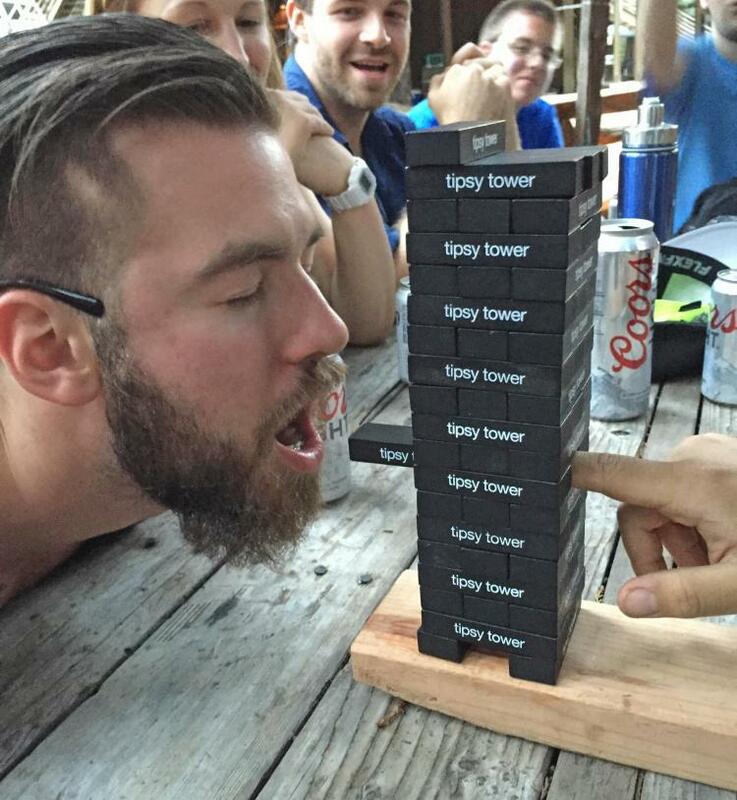 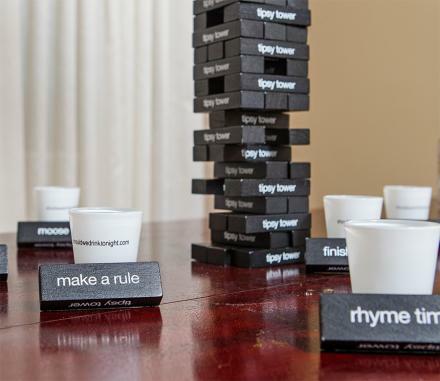 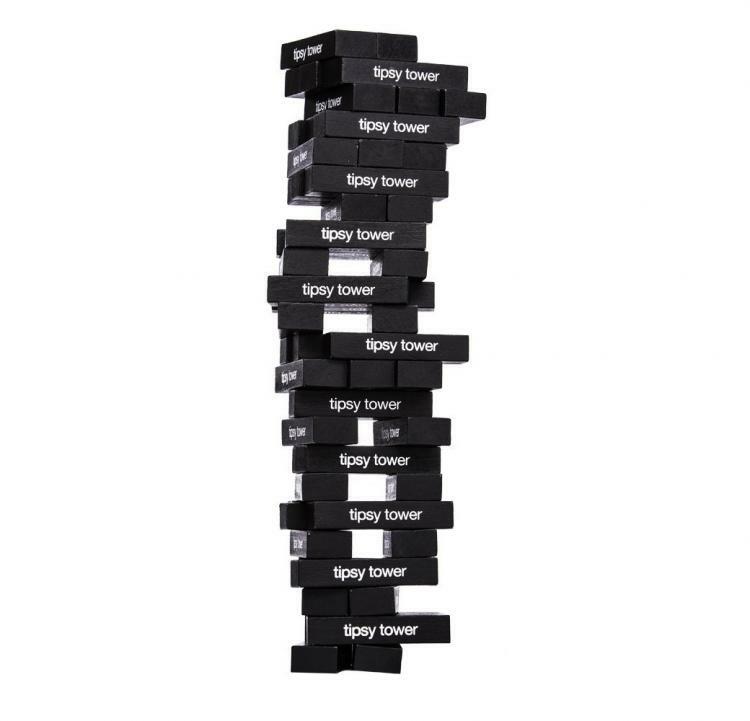 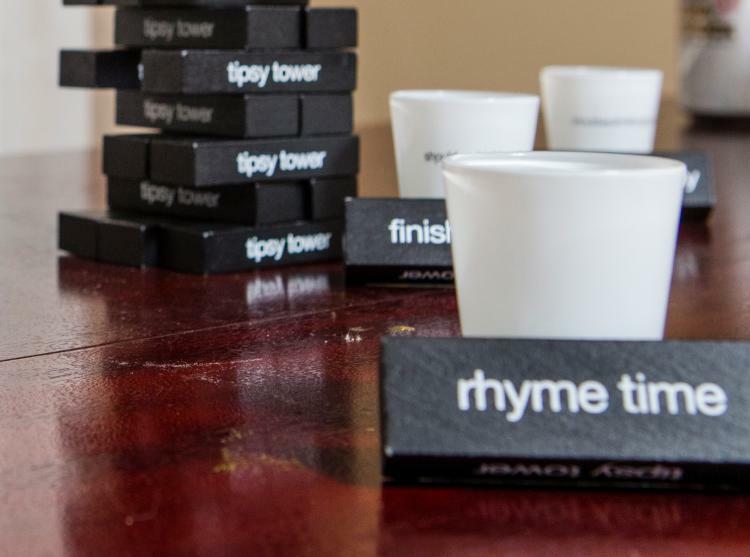 Tipsy, the drinking Jenga game is made with 54 high quality wooden blocks, is black in color with white text on each block, have 36 different rules printed onto the various Jenga blocks, and will most certainly leave you heavily intoxicated after playing a round or two. 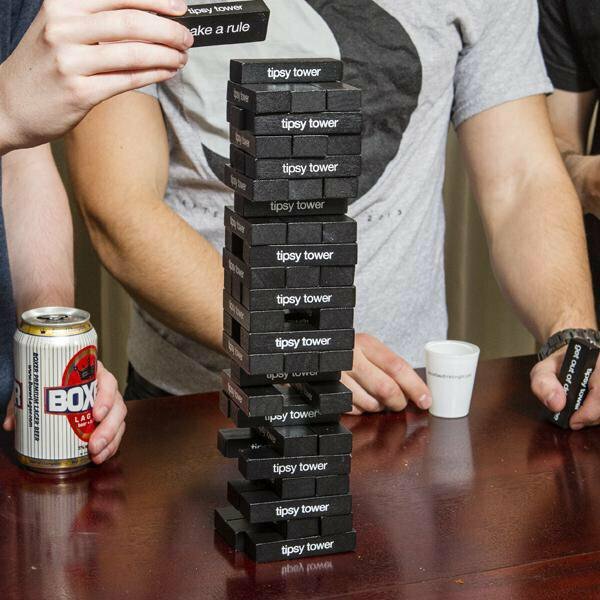 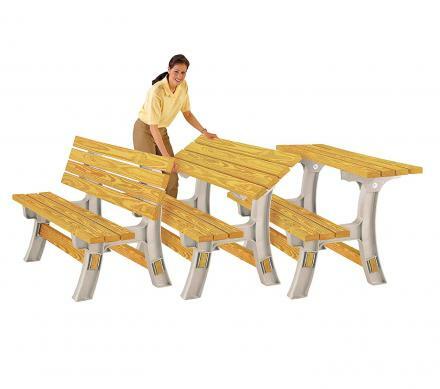 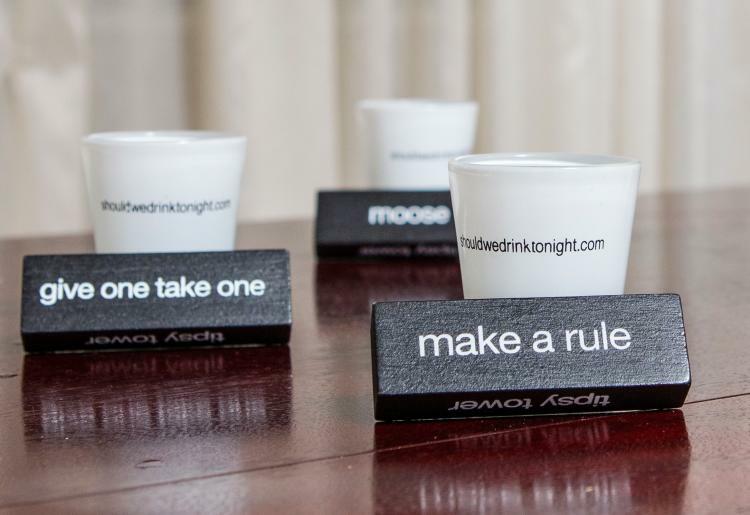 When full set up, the drinking Jenga game measures 11 inches tall x 3.5 inches wide x 3.5 inches thick. 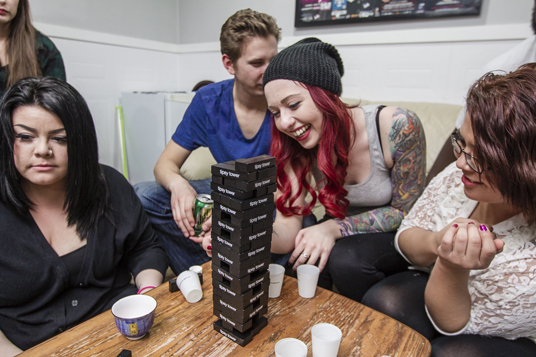 Check out a full round of Tipsy Tower drinking game in action via the video below.